If your kids saw you fly your own quadcopter, chances are they would want to try flying it themselves too, like some remote-control car. But would you let them do that? Considering your drone’s sky-high price, letting them man your toy would not be exactly comforting. But thanks to a whole new range of drones for kids, you can now buy them their own toy quadcopters. Drones for kids are some of the cheapest on the market, which means you wouldn’t be risking expensive damage in the event they crash. Ranging from $129 to $29, here are our top picks for your child. 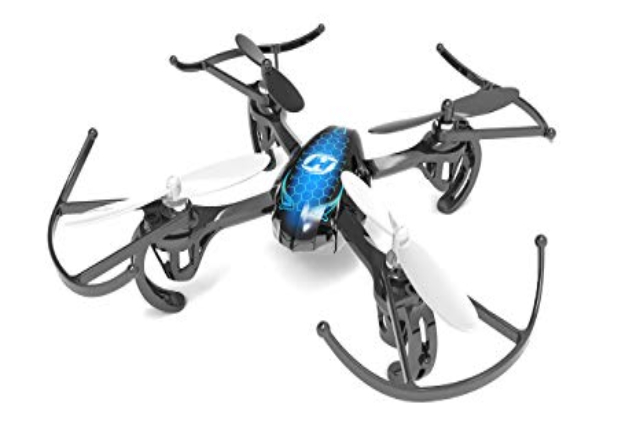 The Holy Stone HS170 is easy to grasp and a great drone to learn from, making it one of the best drones for kids and anyone else at the entry-level. It’s from the mini category of drones, which means it’s about the same size of an adult’s hand. Perform impressive rolls and flips with the 6-axis gyro technology, and control the Holy Stone with its remote controller. The only problem with the controller is that the buttons are unmarked. You can fly 80 m from the controller for as long as 8 minutes in ideal conditions, so always carry a spare battery or two. The biggest downside to this drone is it doesn’t come with a camera. Kids who want to get into aerial photography can look at the other options in this guide. Yet another one from Holy Stone in this list, the F181 can perform 360-degree flips at the touch of a single button, as well as 4-way flips. This time, this Holy Stone comes with a 2-megapixel CMOS imaging sensor that can record and shoot photos in HD quality. Furthermore, the drone’s imaging sensor also features an auto-focus capability, which decreases the chances of pictures coming out shaky. Better yet, this drone comes with 2 batteries, which means you can easily replace empty one with full one and continue your flying. The only downside is how light it is. Users suggest that the drone is too hard to control in anything other than a light breeze, but you can’t really complain when you get so much else for your money! 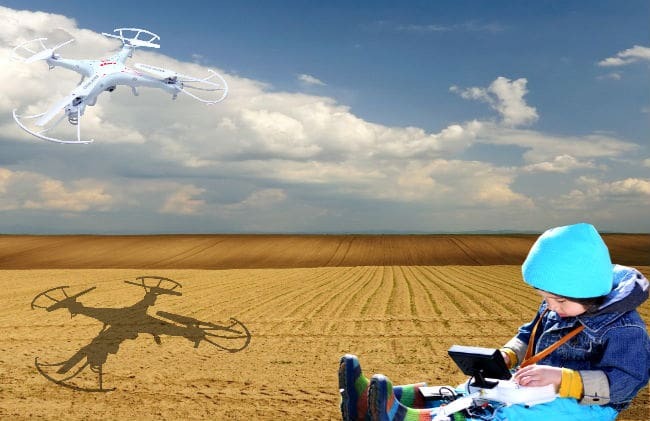 The most important feature of drones for kids is its ease of use. 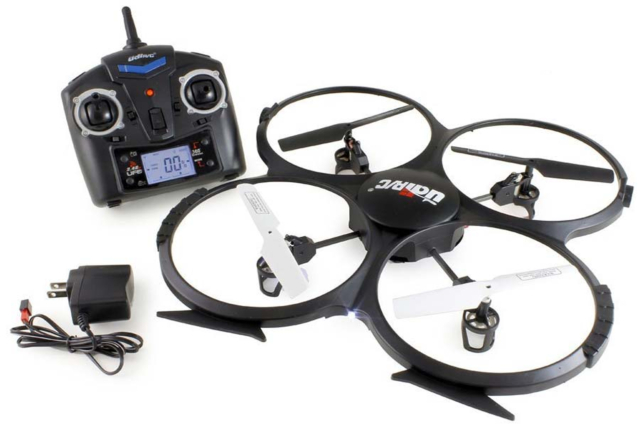 Well, the Syma X5C-1 is very simple for children to control; it’s a smooth flyer and a real show-off in the sky. Its 6-axis gyro stabilization helps steady the craft, making it more flexible and wind-resistant and possible to be flown indoors or outdoors. The X5C is also equipped with HD cameras so you can take pictures and videos while you are controlling the aircraft. The biggest gripe is that the battery takes a long time to charge. 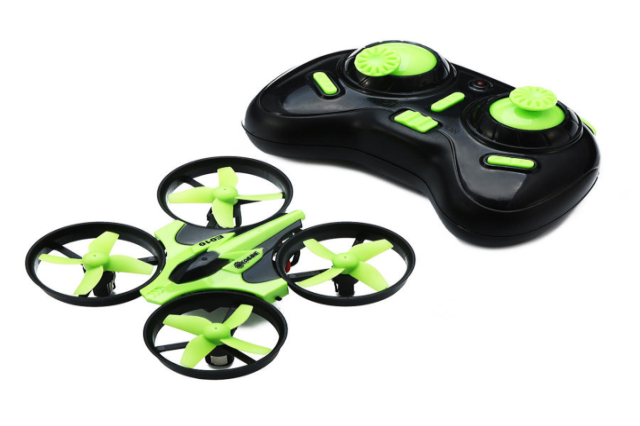 A clever, durable drone and ideal for easily performing tricks, this copter is perfect for beginner drone masters. 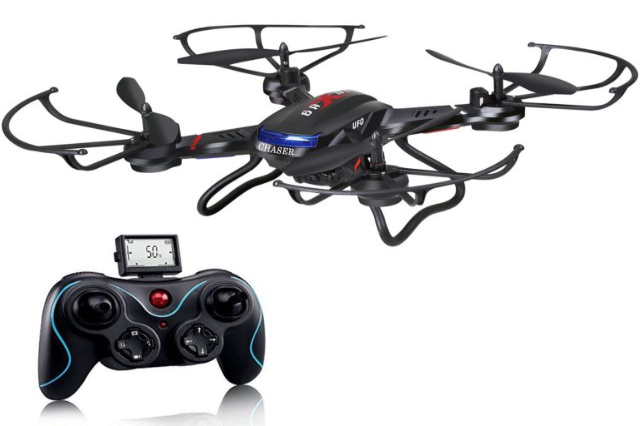 It features a One Key Return so you can land the drone safely, a high and low-speed control, one-button 360-degree rollover capabilities, a headless mode for easy takeoff, and a powerful transmitter so you can really see it soar. 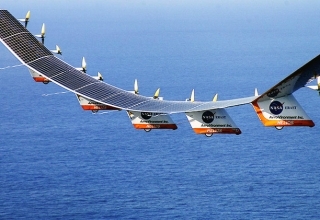 The flight time, however, is pretty short, but the battery charges in as little as 30 minutes and are inexpensive and easy to find. Also, because it is small and light, the E010 won’t do well in the wind. 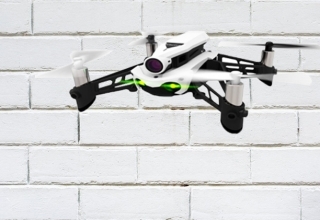 The Altair Aerial AA108 is one of those drones for kids that’s also fit for advanced fliers. 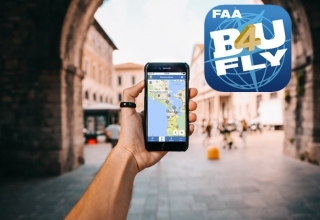 The adjustable 3 skill levels of flight controls make for an enjoyable experience for any drone pilot: 1 for beginners, 2 intermediate, and 3 for the more advanced flyers. This allows children more leeway for error when learning the controls. 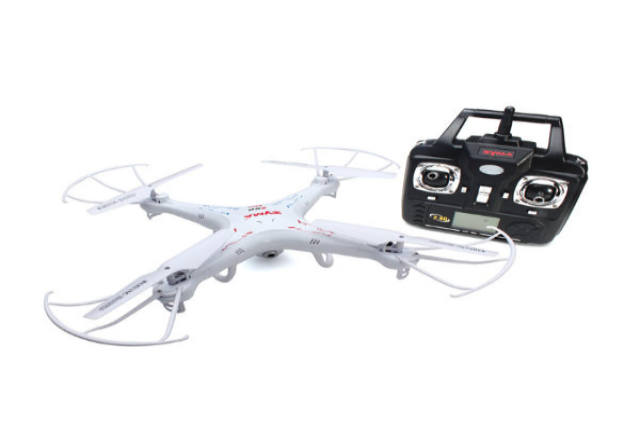 The AA108 also comes with two batteries right out of the box, which means that you get a solid 15-20 minutes of flight time overall if you charge both. Not bad at all! When the drone’s low on battery, the controller starts beeping slowly. 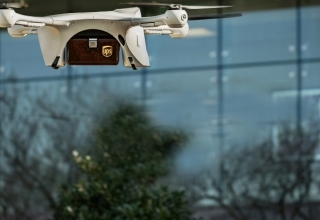 When the drone runs out of battery, it will carefully land itself if still in flight, using the same preprogrammed landing feature that the 1-touch button activates. 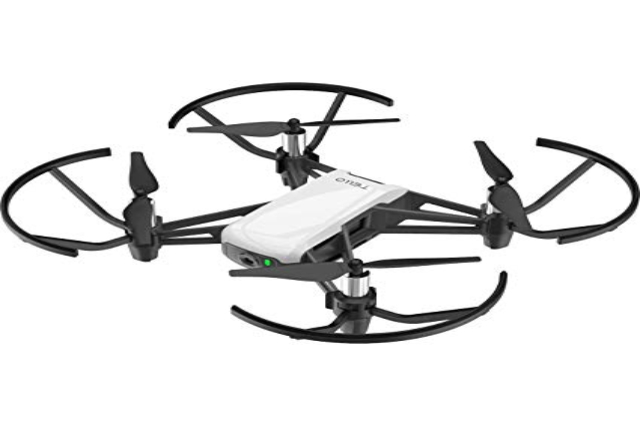 The DJI Tello is a terrific little quadcopter for kids. It’s not only a fun drone; it’s educational too. Young pilots can control this drone from a regular smartphone or a laptop computer with a coding system called Scratch. Don’t let that scare you. Scratch allows kids to easily create new features and functions using Tello’s SDK (software development kit). Perfect for the future programmers of the next generation! The long flight time is also worth a mention. 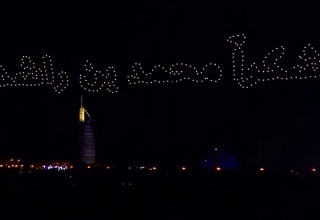 We have come to expect a flight time of 5 to 7 minutes on drones for kids. But with Tello, expect around 13 minutes in normal conditions. 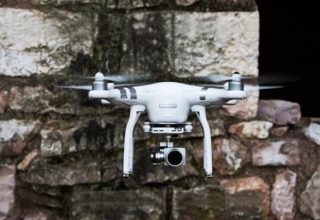 The camera is also remarkably good for a drone in this price range. Featuring a 5MP camera with an 82.6-degree field of view, it can shoot 720p video at 30 frames per second. The Tello also has electronic image stabilization for less blur. This drone sports big rotors that are widely spaced apart, which make flights more stable than smaller crafts. Despite its size, however, it’s still very light at just 130 g. Its entire body and prop guards are made from very thin plastic, which allows the drone to absorb impact very well. The UDI 818A comes with two simple flight modes. Beginners will want to stay on Low Mode until they get more confidence. The High Mode is where you can experience quick climbs and fast turns. Kids who love to impress with flips and rolls need only to press the 360 Eversion Key. Video quality at 1080 × 720 resolution at 30fps is better than a lot of the camera drones for kids in this price range. The bonus battery that comes with it effectively doubles your flying fun to 18 minutes, but the charging time takes too long. 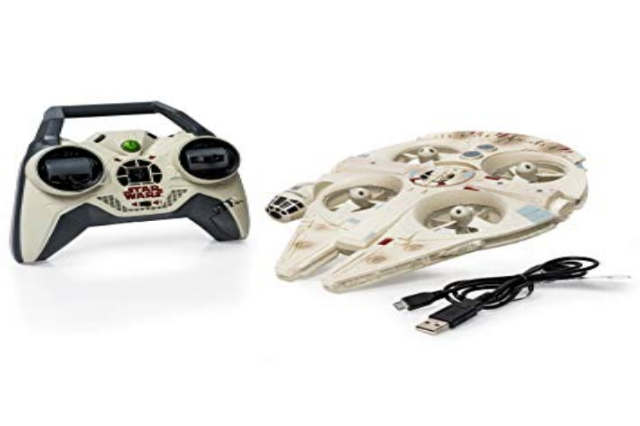 Now you can fly the most iconic ship in the Star Wars universe: the Millennium Falcon quad, complete with iconic LED lights and authentic sounds! The body is made from crush-resistant foam to protect the propellers and the motors. This means that you will have as much fun as you want without fear that you will need replacement parts. 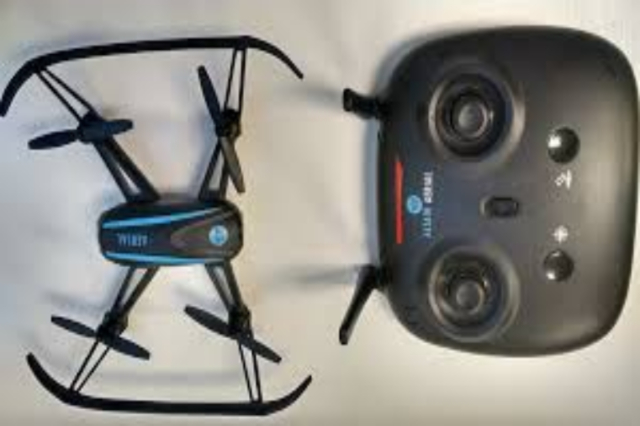 Air Hogs has included a latch on the right-hand grip of the transmitter where you attach the charging cable then directly plug into the drone’s underside through a USB port. However, you won’t get some of the major features you would expect in most drones such as headless mode, app control, FPV, or a camera. It is more like a collector’s or beginner’s drone to practice flying.